Paddington Cuddly Blue Coat Discounts Apply ! 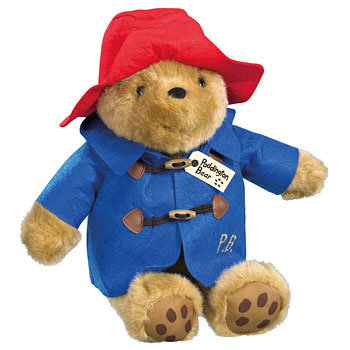 Paddington wears his traditional Felt Hat and Duffle coat with real wooden Toggles. His coat is smartly embroidered in gold with PB. His well known Please look after this bear. Thank you. label is tied around his neck. He is soft and cuddly.